Astrid Noack’s Atelier in Nørrebro, Copenhagen, is our second stop on the summer tour. On May 29th we’ll be screening a short film by artists Søssa Jørgensen and Geir Tore Holm, called Astrid Noack’s Atelier, based on a series of filmed interviews with people involved with the preservation and development of the former backyard studio of artist Astrid Noack. 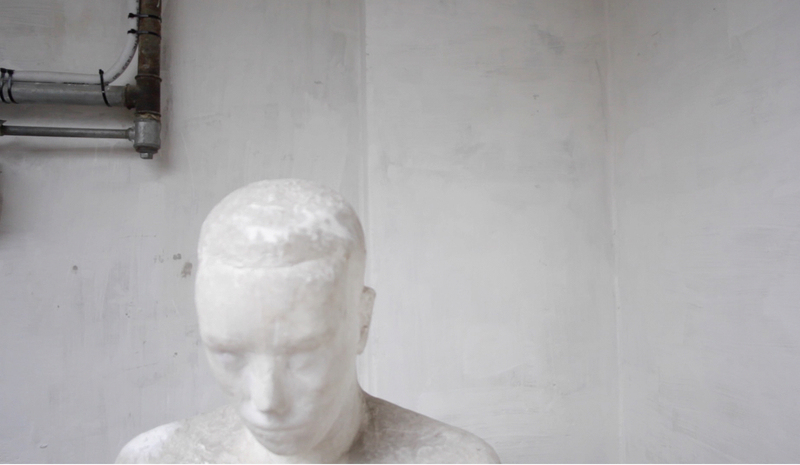 Søssa Jørgensen and Geir Tore Holm were artists in residence at Astrid Noack´s Atelier in August-September 2014. 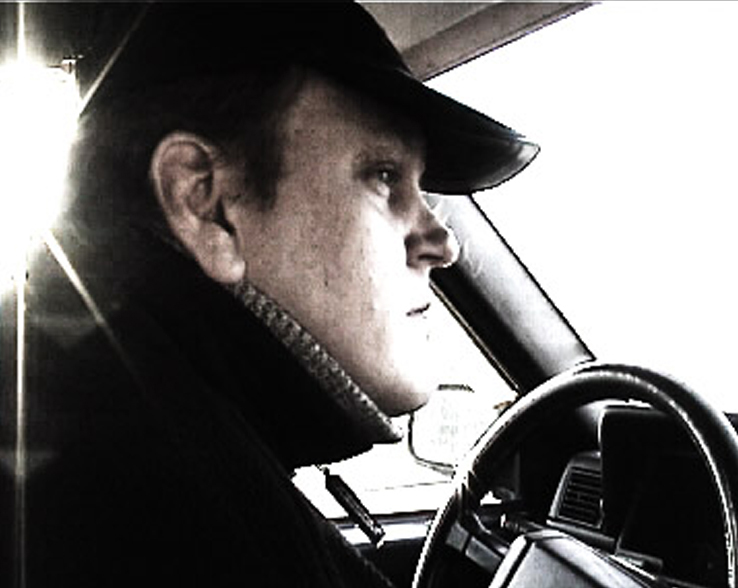 The recordings for the video documentary were made in the studio in Copenhagen and at the farm of the artists, Ringstad in Østfold, Norway. 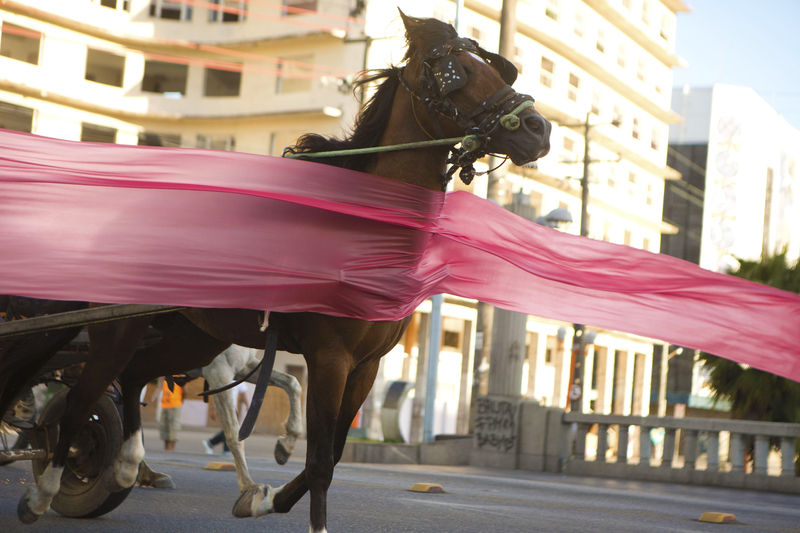 The Uprising, by Jonathas De Andrade, documents a horse and cart race in Recife, Brazil. Horse-drawn carts are officially prohibited in the city, mainly because of how they clash visually with the notions of order and progress. But horses and carts are still in use among some people in the city, and the law turns a blind eye to them. 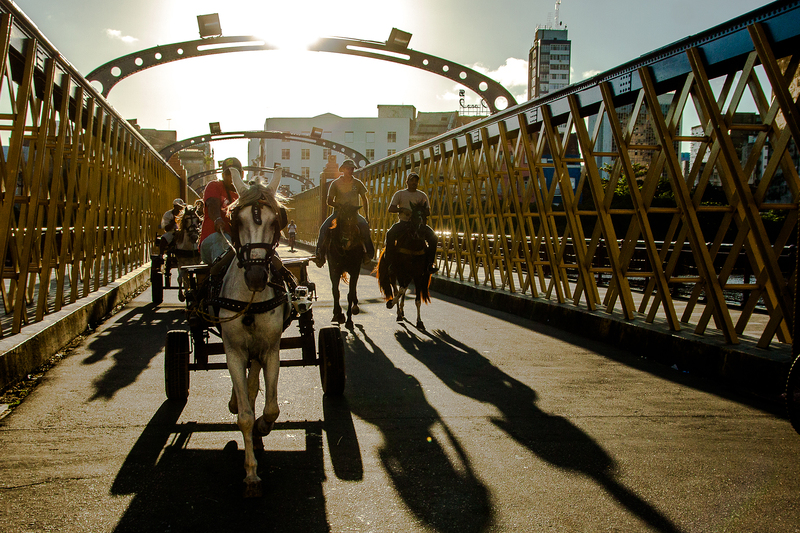 Jonathas De Andrade got involved with organizing the delirious first race of horse-drawn carts in Recife. By saying the race was staged for the shooting of a film, thus a fiction, it got the necessary permissions. An aboiador improvises a song about what he witnessed during the day of the race, calling it an uprising, in a rural revolutionary essay in the form of a song. Black of Death, by Chim Pom, shows members of the Japanese artist group gathering huge flocks of crows and bringing them to the monuments of Tokyo. Driving around the city on a motorbike, while playing the sound of crows singing through a megaphone and trailing a stuffed crow, they are followed by growing swarms of black birds, an ominous cawing cloud that is the black of death. 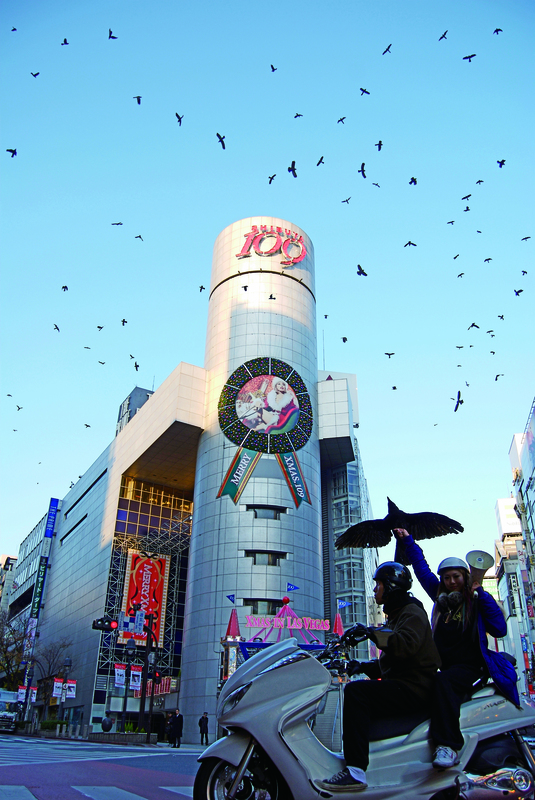 The 2013 version of the film includes added footage from the deserted evacuation zone around the Fukushima nuclear power plant, and a swarm of crows gathering over the offices of Tepco (Tokyo Electric Power Company). Illuminated, by Caroline Mårtensson, is a film of the Swedish army practicing target shooting with tracer lights at night. 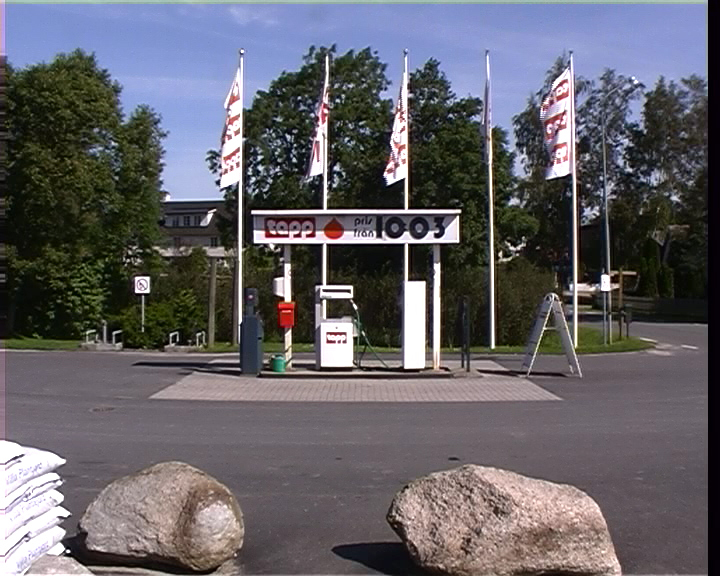 The shooting takes place at Ravlunda shooting range, an area of natural beauty next to the ocean. In the field, there’s plant life, animals and insects struggling to co-exist under the bombardments by the army, which increases in frequency as Sweden rents out the area to foreign armies. 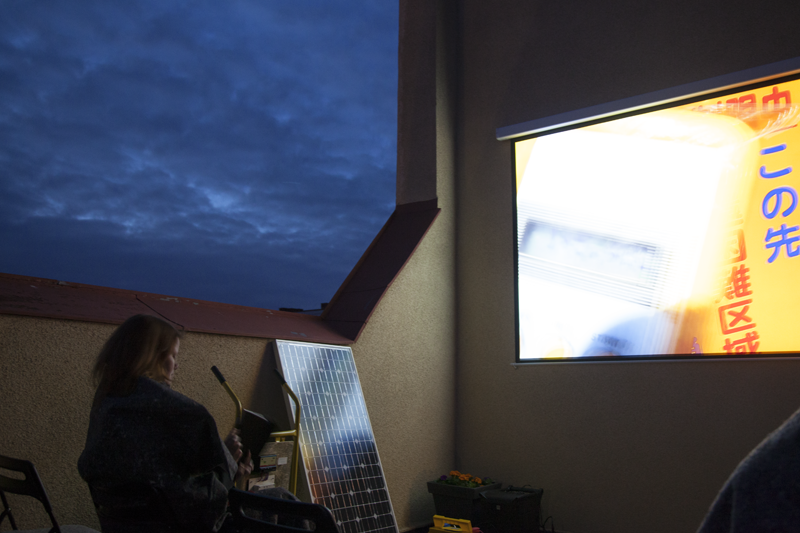 On May 22nd we’ll be screening videos in the very first film studio started in Sweden. The old studio building of Svenska Bio is now the local Museum of Film in Kristianstad. 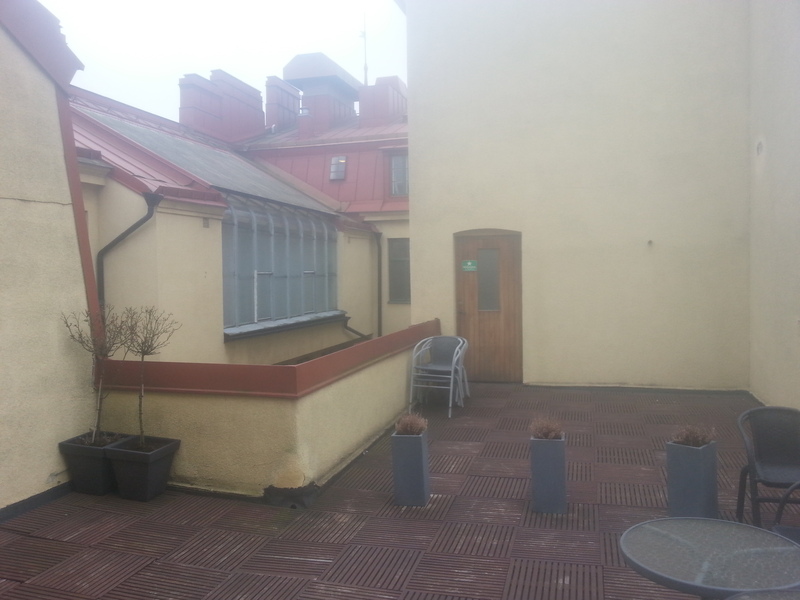 The rooftop terrace was formerly used as an outdoor studio, where cameras could take advantage of the light conditions better than they could indoors. Stage sets depicting indoor environments were built on the rooftop terrace, and indoor scenes were shot outdoors. Sometimes, in old films, you can see tablecloths flapping in the wind, or the breath of the actors forming clouds because of the cold, disturbing the illusion. At the moment we’re looking around for some short clips of these ghostly breaths, in order to add them to the screening.